The best way to get to know a community is by scheduling a tour. See the facilities, meet the staff and residents, and get a feel first hand what it's like to live at Autumn Wind Assisted Living Assisted Living. Nestled in the heart of Mineola Texas Autumn Wind Assisted Living is a community that provides heartfelt care and warm home for active seniors. You will be mesmerized by the beauty of our community where grace, charm and senior living meets. Here residents remain independent, nurtured and live a quality life. Autumn Wind wants to be more than just a retirement home. We want our residents to feel safe and secure. For this reason, the focus of our care and nursing is the dignity and individuality of the residents. 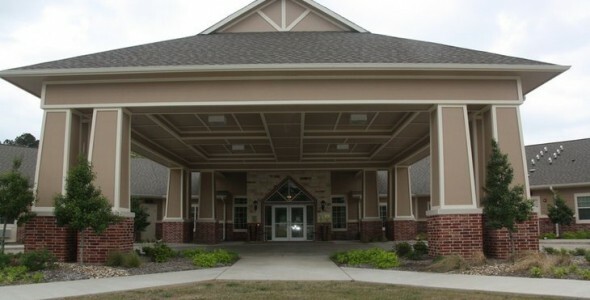 We are proud to be a large type B Assisted Living, offering Assisted Living and Respite Care. Our community boast our remarkable interiors. You will love the modern style architecture that will make you nostalgic. Our elegant dining room built with muted colors, wood beams and a gas fireplace creates an inviting atmosphere to our residents. We also have a beauty salon and barbershop for rejuvenation and relaxation. Residents have options in terms of choosing a home. We have one bedroom and studio apartments that are spacious, has its own bathroom, spacious closet, individually controlled air condition and a nice view of nature. Our community is focused in enrichment programs that creates a nurturing environment. We have a lot of activities that are enriching, stimulating and engaging. We have arts & crafts, concerts, parties and games that will surely provide important. Residents of Autumn Wind Assisted Living receives the highest quality of care. We have staff on site available 24 hours a day to provide care and assistance to our residents in grooming, medication management and daily activities. Come and visit us to see what is Autumn Wind Assisted Living about.